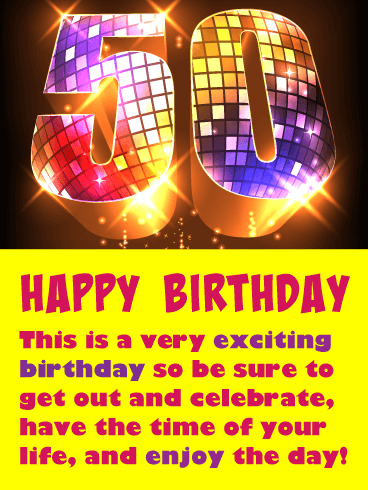 50th milestones are extra special and deserve a great birthday card such as this one! 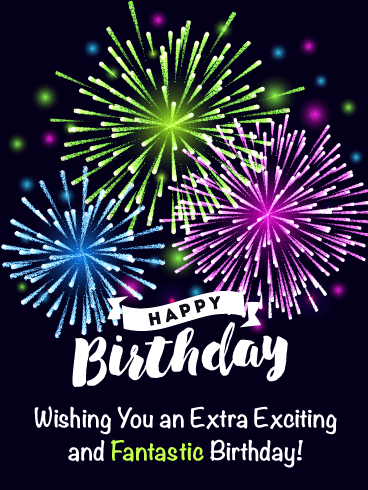 This greeting card will let someone know that this birthday is no ordinary one, and that it should be a day to remember. 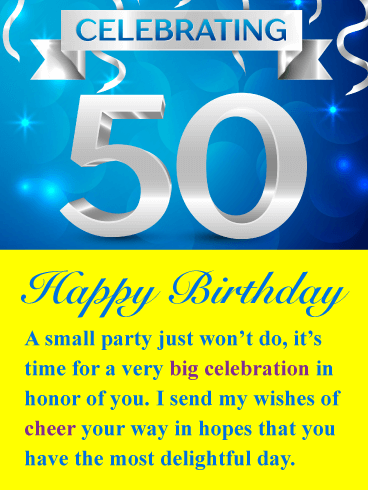 The number 50 is displayed as fun candles that are lit for your friend or loved one’s milestone birthday. It also displays colorful balloons! 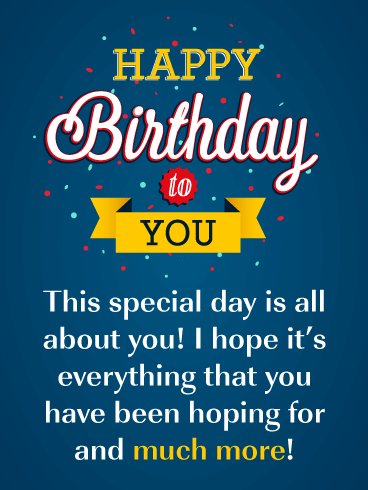 Send this birthday card soon, you may just be the first one to wish them a happy birthday! Happy Birthday Many birthdays come and go but this big day should be one to remember. Have the best day ever! 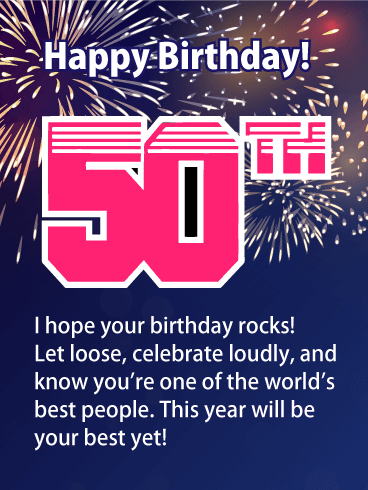 50 years can give someone a good amount of time accomplish a lot and succeed at much, and this birthday card recognizes that. 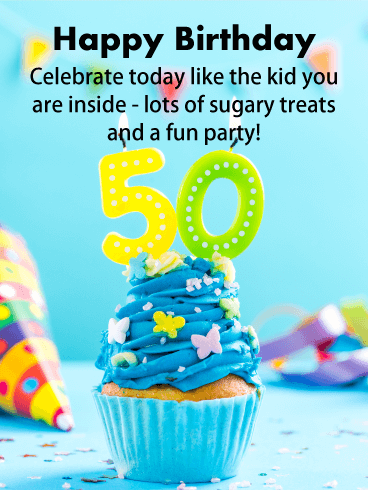 Additionally, it features an incredible cupcake with frosting and sprinkles, a fancy cupcake holder, along with blue and purple decorative candles that form the number 50! The background is filled with exciting birthday elements, balloons, streamers and much more. Make sure to send this outstanding card to someone today! If you need a spectacular milestone birthday card and only the best will do, then this is the one for you. 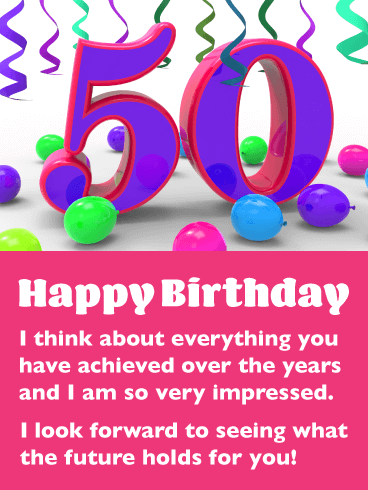 Send this stunning birthday card to someone who is turning 50. It has a sparkling blue background, glimmering silver ribbons, along with a shining number 50. It's fabulous! 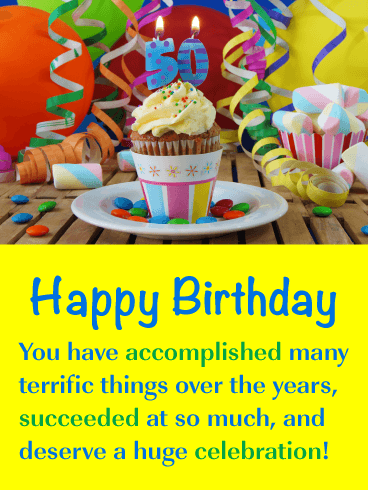 This birthday card will tell your friend or loved one that it's time to have a big celebration, it will make their day very special! 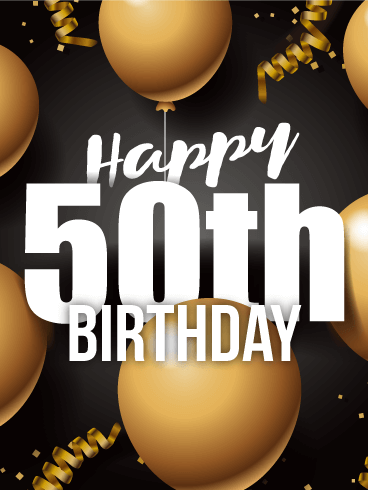 If you know someone who is reaching their 50th year, send them this super exciting birthday card to brighten their day. It displays a fun number 50 created from a birthday cake that is surrounded by colorful confetti. The lit celebration candles add even more festivity to this fantastic birthday card. Also, fun confetti is being sprinkled over the words Happy Birthday and it looks outstanding! 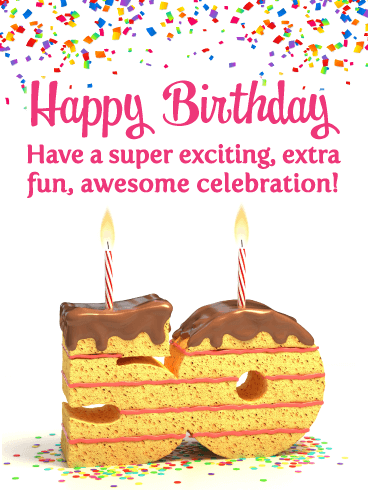 Make sure to wish someone an awesome celebration today by sending this creative and exciting birthday card their way! 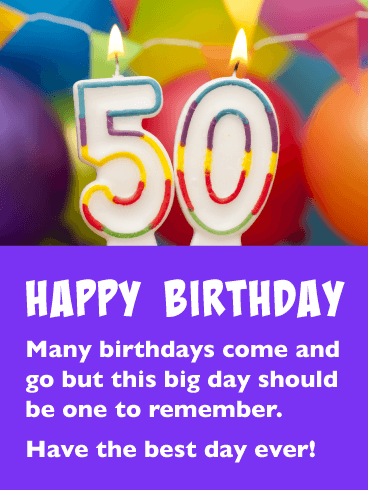 It took 50 years to get to this day so it is certainly worth sending a very special birthday card! 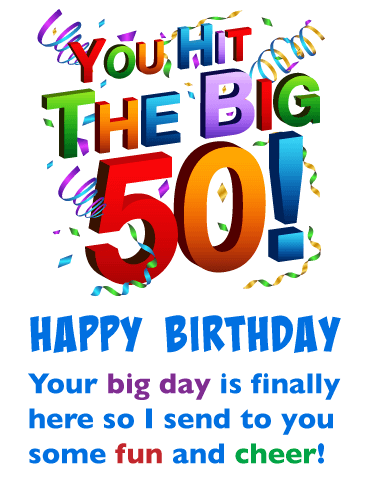 This terrific greeting card features big colorful letters that say, "You Hit The Big 50!". Birthday ribbons and confetti are also showcased to make this birthday card even more exciting. 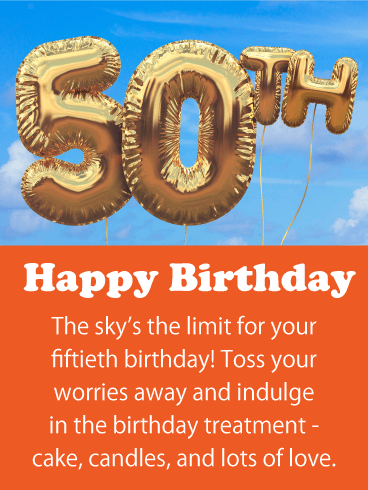 Send out some fun and cheer by getting this 50th birthday card on its way to someone special today. They will be so glad you did!